Athlete’s foot, also known as tinea pedis, is at best a highly frustrating condition to have. At worst it causes people, in particular, those who like to play sports or do aerobic types of workouts, from moving around effectively due to the pain and at best the itching is annoying. It’s caused by a fungus that loves moist areas like locker rooms, bathrooms, and pool areas. While you aren’t likely to get infected in your own home unless you share the bathroom with someone else who is infected and the bath, shower, and floor are not cleaned after each use, public or communal bathrooms, pools, and locker rooms are high-risk areas. Unfortunately, it can also spread to other parts of your body too. All it takes is walking around or showering barefoot or sharing socks, towels, or shoes. 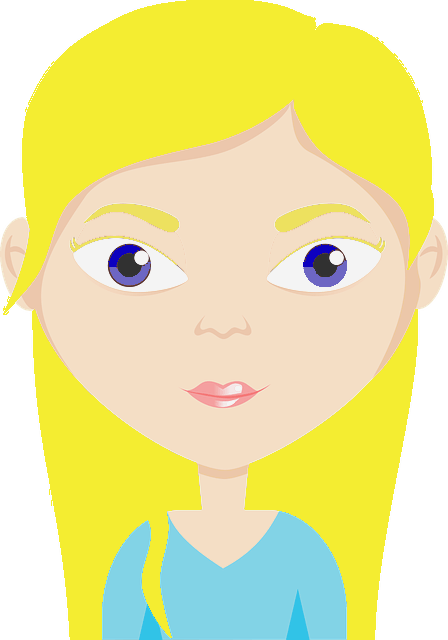 Basically, any contact with an infected surface or item can result in getting infected. Instead of using costly conventional treatments which are full of harmful chemicals, you can use essential oils for athletes foot. 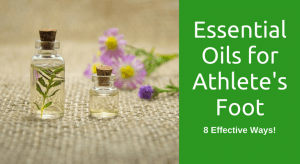 How Do Essential Oils Help for Athlete’s Foot? Certain essential oils are anti-fungal. Certain essential oils are antibacterial too which can get rid of the odor that sometimes accompanies athlete’s foot. Certain essential oils are anti-inflammatory (1, 2). Inflammation in small quantities aids healing, but too much causes pain. If you have painful athlete’s foot symptoms, essential oils can help to soothe your feet. Essential oils smell great. While this isn’t actually essential for treating athlete’s foot, it’s a nice touch. Some essential oils are known to be mood-boosting such as lavender for relaxation and orange for upliftment. This can be helpful for any frustration that you may feel due to the athlete’s foot. As you can see, there are quite a few you can choose from. You can use them either alone or use a combination of them. This is great especially if you like particular scents. There are many other remedies for athlete’s foot that you can combine your essential oils with. Bear in mind to always use essential oils diluted as they can cause skin irritations when used undiluted. Always wash your feet before treatment to minimize bacteria. Treat your feet twice a day, whether you only use one of the below methods or whether you alternate between different athlete’s foot remedies. In a bowl, bucket, or foot bath pour enough warm water to cover your feet. Then add 10-30 drops of essential oil depending on how much water you’re using. Stir the solution to mix it and then soak your feet for 10-30 minutes. Then dry your feet thoroughly with a clean towel. You can also let them air dry but make sure that they are completely dry before wearing shoes. Prepare the foot soak as mentioned in the original essential oil foot soak recipe. Add a tablespoon or two of salt and stir to mix it all together. Soak your feet for 10-30 minutes. Then dry your feet thoroughly. Vinegar can be used, any type including apple cider vinegar (ACV), also has antimicrobial properties (3). Though vinegar doesn’t smell nice, it can be used effectively. The added essential oils will help this foot soak to smell a little bit better. Prepare the original or salt foot soak recipe. Add a tablespoon or two of vinegar. Soak your feet for 10-30 minutes before thoroughly drying your feet. Just like vinegar, garlic on your body does not smell great, even if it’s just your feet, but garlic is a potent antimicrobial agent (4, 5). Prepare the original foot soak. Add 1-2 tablespoons of garlic to the mixture. If you don’t like soaking your feet, you can make wipes. Dilute 2-10 drops of essential oil in a bowl of warm water (you will need less than if you were soaking your feet), you can also use one of the above-mentioned recipes. Dip a cotton ball in and apply to the affected area. A dabbing motion is best, gently pushing the cotton ball down for a few seconds on the affected area. Then dip the cotton ball in the mixture again and repeat. Do this for a few minutes at least, up to 30 minutes. You can let your feet air dry or if you’re in a hurry, use a clean towel. Essential oils can also be diluted in carrier oils and then applied to the feet or affected areas as an ointment. Antifungal carrier oils are a great option, two examples of this would be coconut oil and mustard oil (6, 7). Use 5-20 drops of essential oil per 1.6 oz of carrier oil depending on how strong you want it to smell. Mix it together well. Rub the oil on your feet or the affected area, you can even gently rub it in a little. Leave it on for about 2 hours before washing it off. You can also use this recipe as a body oil for dry skin. Lavender or chamomile essential oil is especially good for dry skin as they are very soothing. You can use the same recipe as the rub, but instead of rubbing the oil in you can use a cotton ball to apply the oil. Leave it on for an hour two before rinsing it off and drying your feet thoroughly. In the study, they don’t specify exactly how much they used of each ingredient. Try one or two drops of essential oil per tablespoon or two of powdered ingredients. It should be of a powdery consistency. You can also use different essential oils to the ones mentioned in the study. This athlete’s foot remedy is a great option if you work in an environment where you absolutely need to wear closed shoes, or even if you are going to be wearing closed shoes for a few hours when going out. The arrowroot starch will help to keep your feet dry, the essential oils are antimicrobial, and baking soda is also antimicrobial and it helps to create an inhospitable pH for the fungus. In place of arrowroot starch, corn starch can also be used, it will have the same effect. This remedy takes only a short time and its antifungal properties are what will help to get rid of athlete’s foot. Mix equal parts of water and your choice of essential oils, a tablespoon or two of this mixture should be enough. Mix it together to make a paste. The consistency should be thick but not so thick that you can’t spread it. Apply the paste to the affected area and leave it there for 10-15 minutes. Rinse it off and dry your feet completely. Speak to your doctor before using essential oils for athlete’s foot if you are on any medication, have a medical condition, or are pregnant or breastfeeding as they can interact with medications and affect hormone levels. Do a patch test before committing to using the essential oils as some people are sensitive or allergic to certain oils. Be careful with essential oils around your pets, some are harmful to dogs and cats (8, 9). Wash your hands before and after every treatment. Clean the bathroom after showering or bathing to prevent recurring infections or infecting anyone else who uses that bathroom. Put on socks before getting dressed to prevent the fungus from spreading to any other body part due to contact. Keep your feet dry, wear open-toed shoes or sandals as much as possible. Never walk barefoot in a public or communal bathroom. You can use thong sandals to shower with. Be patient, it can take up to a few weeks for the infection to clear up, particularly if your nails have been affected too. Always use clean socks to prevent recurring infections. It’s best to keep going with the treatments for 2 weeks or so after the symptoms have gone away to make sure that the fungus has been completely irradicated. If your symptoms are very severe it’s best to see a doctor. If you are diabetic, see your doctor even if you have mild symptoms to be on the safe side. Let us know if you have found these remedies useful and which are your favorite essential oils.